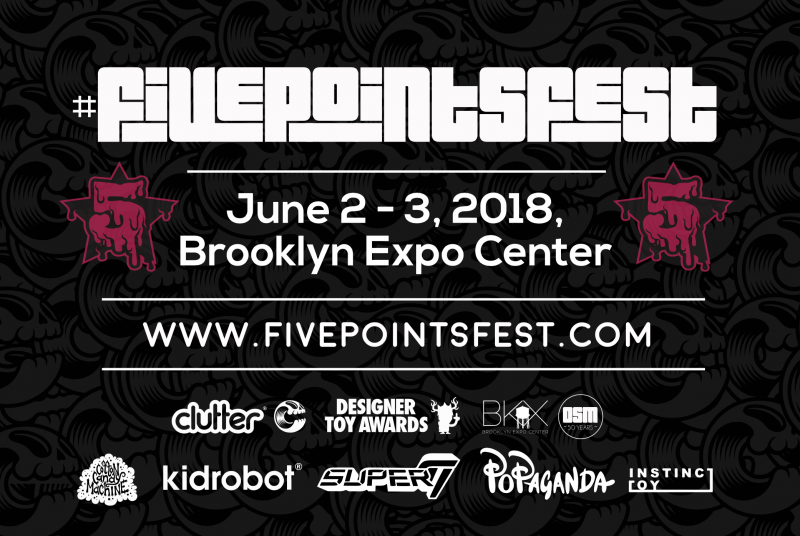 We are super excited to announce the 2018 date and venue for Five Points Festival! Taking place the weekend of June 2-3rd, 2018 – at the awesome Brooklyn Expo Center, we can’t wait to bring you the shining stars of the Designer Toy, Kaiju & Sofubi, Beer, Food and underground art worlds. Vendor info, ticket sales, hotel info and more will be coming your way soon, so keep a weather eye open, and prepare to join us for another killer year!